MeetPoint | Networking will transform your event into success. Meetpoint solution will boost your event to much higher level. It offers full coverage from start to finish, including website set up, creating different types of events, database design, registration management, event promotions via mobile devices and the best possible event experience by using friendly interface. Keeping a professional address book up-to-date can be a huge task. Our smart contact management tools will make it really easy for you. Does your registration form require some very specific input fields? With MeetPoint it's easy to set up multiple registration forms with custom fields and settings for every event. Configure and design beautiful e-mails to promote event or invite attendees. Insert email html or set up emails with powerful but simple drag/drop email builder. 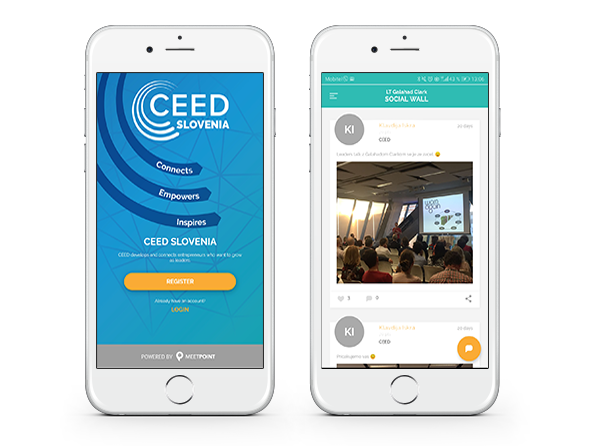 Event page creation with MeetPoint is a simple and quick process that also generates a mobile version of the page. Save time by quickly scaning attendees' unique QR codes at the event entrance. 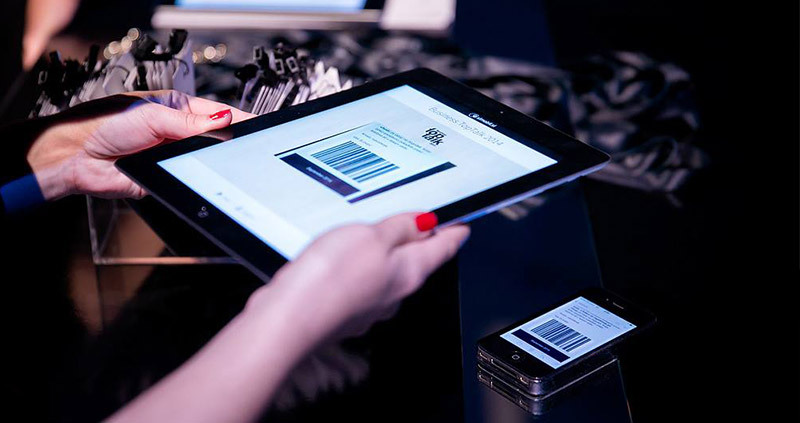 Codes can be scanned with any smart mobile devices that has the MP check-in app installed. 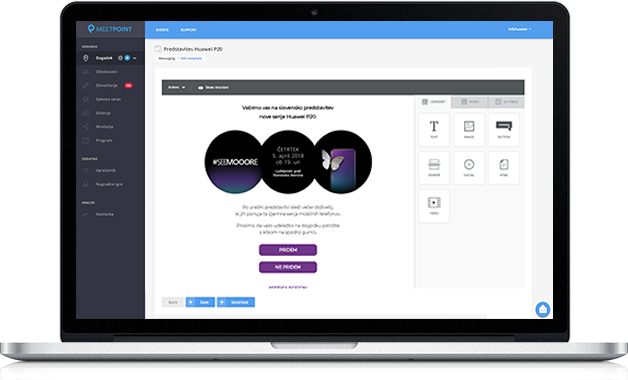 Easily configure in advance – automatically print out badges at the event. 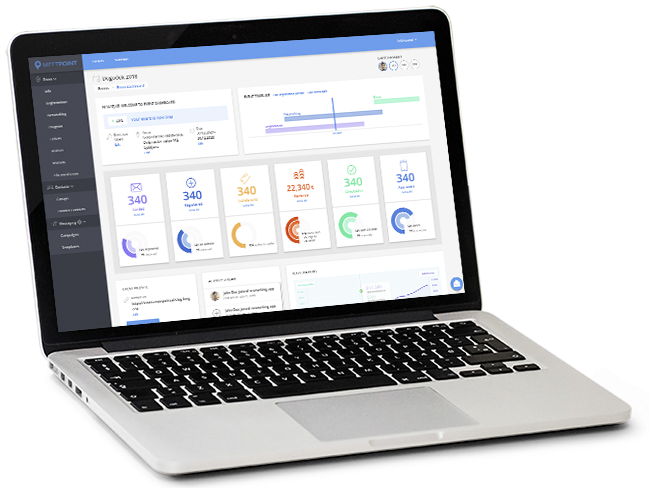 Control the relevant metrics 24/7 before, during and after the event with graphical analytic tools designed to help you know what is working and what you have to do to turn your event into success. MeetPoint brings together some of the smartest features to takes care of every aspect of organizing a modern, digital event. 1-to-1 meetings and advanced matchmaking tools, agenda & messaging will give attendees options to find the right person at your event. Meetpoint's white label event app will make it easy for attendees and sponsors to find information, use networking options and engage with social media. 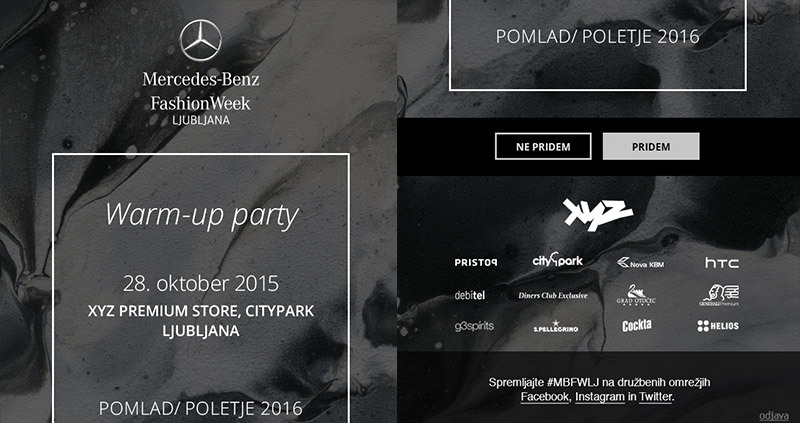 Our clients have achieved great results in partnering with MeetPoint at their events. 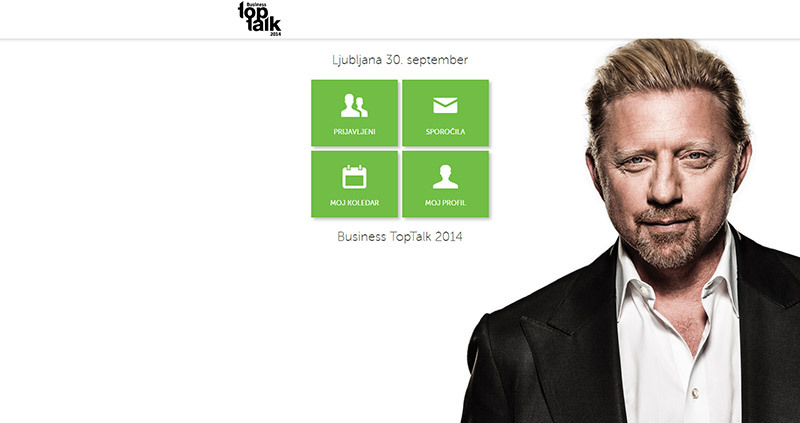 TOPTALK is a yearly business event of the mobile operator Si.mobil d.d. (Slovenia). Si.mobil d.d. is part of Telekom Austria group which is also present in Austria, Croatia, Serbia, Macedonia, Bulgaria, Belarus and Slovenia. Client was looking for a solution which would help them use online sign-up forms, e-mail invitations, mobile friendly check-in and above all an opportunity for business networking among attendees. 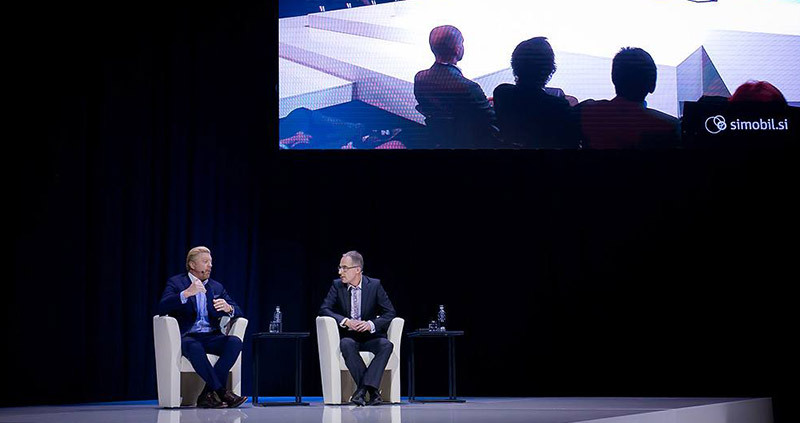 The networking feature was crucial for the client because the topic of the TopTalk event with Boris Becker focused on how to succeed in business, therefore the client wanted to enable all its participants to make business through networking. Pristop is one of the leading consultancy and communications companies in SE Europe. Headquartered in Slovenia, it has been a partner of key local and global companies as well as governmental, non-governmental and international organizations for over 20 years. During this time it has stood side by side with numerous companies and organizations in planning and implementing their strategies and helping them achieve their goals. Before we introduced them our MeetPoint solution Pristop was using signup forms that generated complicated mailing lists. The system was integrated with another document management system where they would store all attendee information. At the end of the day Pristop needed a more efficient and reliable solution to manage registration, especially because event lasted couple of days and had a diverse program that lasted several days. 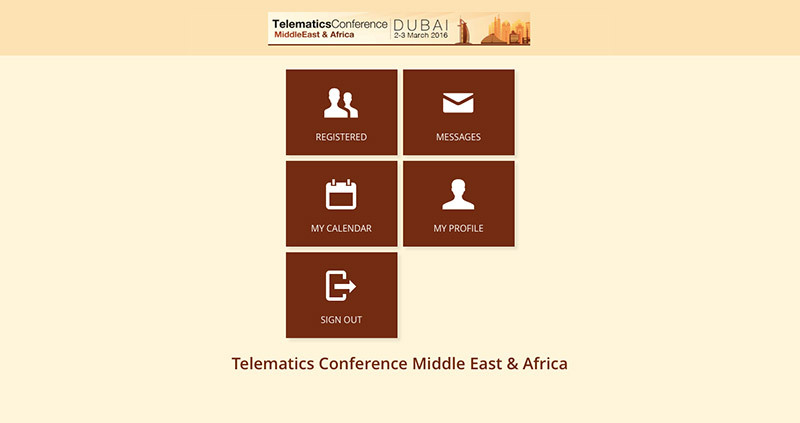 The telematics fast growing industry is getting more and more interesting for all places around the world. It is of special importance in the Middle East and Africa region. 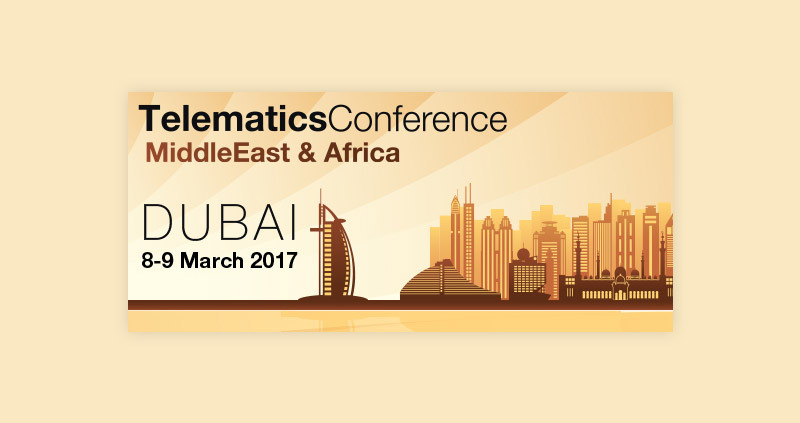 Ergo institute organizes 2-3 conferences per year, where they gather attendees and companies from all around the world. Before MeetPoint solution clients were not using any software solution for event management. They were still using classic conservative solutions (excel, mailing). With the global growth of their events they started to look for a software solution that would bring their events to next level. Check out our Insta World! 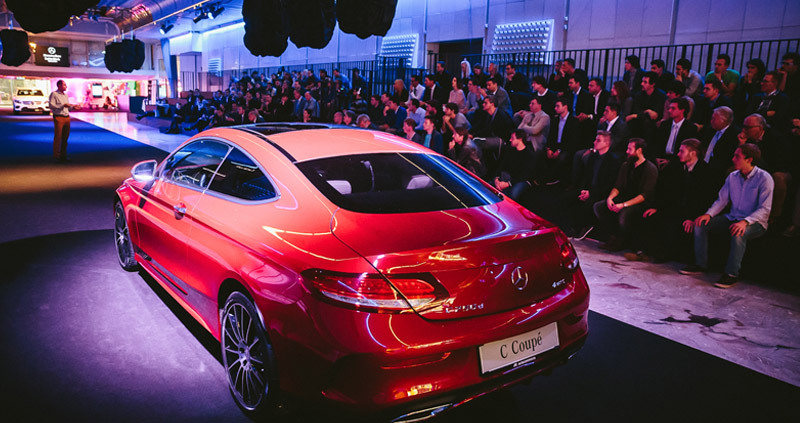 Discover more about our platform, customers and behind the scene action from events on our Instagram feed. Tatjana Kos, Jaka Ažman, Senior expert in marketing communication, A1 Slovenija d.d. Tea Smole, Event manager, Pro Plus d.o.o. “MeetPoint is an excellent application for networking! We have used it for the first time at our 4th BNI Adria Conference and we were really excited since the majority of attendees used it. Even our members who do not know each other established a contact through the application and agreed to meet at the conference. Copyright © 2016 MeetPoint. All Rights Reserved.